Houghton Mifflin Harcourt, 9780544302655, 368pp. "Stunning...A graceful and powerful memorial." "After the Eclipse pulls the reader swiftly along on parallel tracks of mystery and elegy...Perry’s scrupulous research and painstaking rendering of her experiences make her a trustworthy guide through such emotionally charged terrain. She’s also a wonderful writer with an assured sense of when to zoom in to her body’s somatic response for a piercing immediacy and when to pull back to convey the measured perspective gained through the distance of time. Many moments of beauty and tenderness rise up through the darkness. In the end, Perry succeeds in restoring her mother’s humanity, and her own." "A gut punch...A heartbreaking yet hopeful testament to human resilience." "After the Eclipse is both a heartfelt memoir and a suspenseful story. With its many twist and turns, the mystery of this murdered woman and the small town of people who knew and loved her, it feels like I’m reading a prequel to Twin Peaks." "Raw and perfect...I've never read a better depiction of how a sudden, violent event rips through a human being's apprehension of reality...[It's] an unfussy, richly textured remembrance of a town, a family, a particular place on the planet that its author knows all the way down to her bones—the strengths of a classic memoir... After the Eclipse [has] an eerie, heartbreaking power that it shares with the very best of true crime." "Perry weaves together her painful memories of that night with archival research and journalistic interviews to not only piece together the details of her mother’s death, but illuminate the woman she was before it. With clear, powerful prose, Perry paints a portrait of unconventional motherhood while questioning society’s handling of violence against women. Reminiscent of Maggie Nelson’s The Red Parts, After the Eclipse tells the very human story at the center of a needless crime." "Profoundly moving...Explores the systemic misogyny and classism in small-town America, and revolves around the life of Perry's mother, Crystal, who shines from the borders of this often unbearably dark story as bright as the sun on a summer day...Powerful." "With rich prose, Sarah Perry tackles grief, and how we persevere in the face of tragedy." "The deeply personal memoir examines our obsession with female violence while telling the account of her mother’s murder in the small town of Bridgton, Maine. It’ll give you chills." 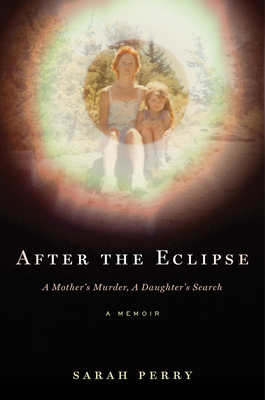 "After the Eclipse is a thoroughly researched account of Crystal Perry’s death and the efforts to bring her murderer to justice, yet this is so much more than a typical true crime tale. Sarah Perry has created a captivating and emotionally raw account of the event that changed her life and how it shaped her." "Beautiful but gut-wrenching...A brave personal stand." "In compelling detail, After the Eclipse is the true story of a murder and its aftermath, as told by the only witness...A strong, gritty memoir...A tantalizing whodunit...Ultimately, what the book illustrates best is the gulf of loss and the continuing significance of one life taken before its time. Grief, after all, is not a tidy emotion. It echoes through and beneath every subsequent experience ('the colors and sounds and textures of the world still seem to conspire to bring her back to me'). This book is just one of the many repercussions of a life cut short." "[Perry] wonderfully evokes her mother even as she struggles to unravel the mystery of her death...Perry’s memoir is a testament to one child’s ability to survive the unspeakable, one woman’s ability to recapture what was lost, and a fascinating small-town mystery with breathtaking revelations at the end." "In an accomplished debut memoir, a daughter struggles to understand the life of her mother, who was murdered when the author was 12... deft pacing and vivid portraits result in an absorbing mystery and a forthright memoir of abiding grief."